Last Friday night, we went to Zoo Lights with Lucy’s friend Ammanuel. This dancing panda was the first character she has ever seen and not tried to crawl into my ear. 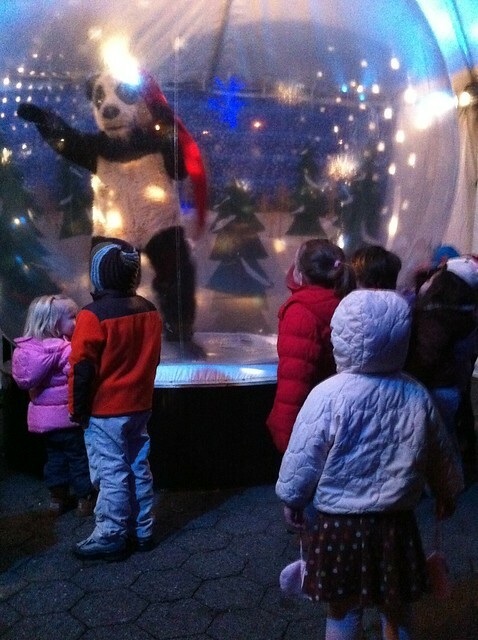 Either it was the Christmas disco music or the large plastic snow globe that kept the panda at a safe distance. Lucy actually danced and waved.